Sometimes we need to see them as humans and not super heroes. Remember some of that local Fijian herbal medicine that our parents used to give us when we were young. Even though it would do us good it sometimes was hard for us to swallow. Even a dose of castor oil, a popular natural treatment for various common conditions was worse. For many Fijian sevens rugby supporters, that was the situation many were in on Sunday, following Fiji’s loss to New Zealand in the semifinal. Forget about the playoff for the bronze medal with England. Many of our die-hard rugby followers have come to a stage where a loss is hard to accept. Just look at Facebook – the match referee received the most colourful blessings, while other comments were outrageous. 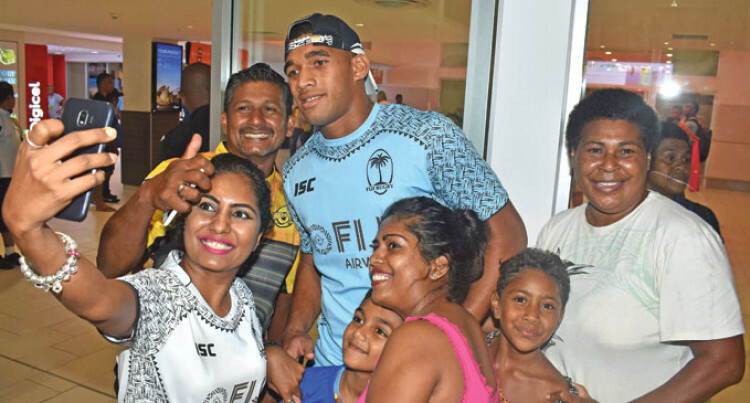 The sending off of Sevuloni Mocenacagi and yellow carding of Meli Derenalagi virtually killed any hopes of Fiji getting back at New Zealand who nowadays seem to perform well on Aussie soil. A similar, but slightly dangerous offence by a New Zealand player at the Hamilton 7s two weeks ago earned only a yellow card. This was justified because no one got hurt and it was in the spirit of the game. A similar penalty for Mocenacagi and probably a citing by the referees panel if they deemed it dangerous would have been justifiable. For Derenalagi to be sin binned for a tackle he was already committed to and deemed late probably suggests that the game of rugby may be getting ‘soft’. Whatever happened is now water under the bridge, but our discipline seems to let us down now and again. When it does happen, it happens at crucial moments of the game or tournaments. And that is what turns the tables on the Fijian team. The Fiji sevens team is no doubt the best in the world right now, putting aside those defeats in Sydney. For a team that has so much firepower, flair, dance, magic and the list goes on, surely you will become the envy of other teams. Look at how Kurt Baker celebrated when he scored against Fiji in the semifinal in Sydney. The NZ playmaker knew he had done it against the best team and the glee on his face was like a little child who had just been given a box of chocolate. Every team and every player is bent on beating Fiji. So the Fiji side, beginning from pool games has an imaginary target stuck to it and opposition teams put in that extra effort to defeat the Fiji Airways Fijian Sevens team. Through this the side encounters a totally different strength from opponents unlike what other teams face. This especially after winning two tournaments in a row. Australia took the stuffing out of the Fiji side in their quarterfinal clash and this took its toll on the team against New Zealand. However, let us not dwell on excuses or what could have been. Let us all step back and give the boys a hand for the third place position which they occupy right now. It is hard work and they have the break now to recuperate and start off afresh in Las Vegas for the USA 7s tournament. Let’s keep up the support though for there a still a few tournaments in the series left for them to attain the number one position.